Project Wing has been running tests in the capital for several months, delivering burritos, coffee and medication by drone from a depot with a second-story loading dock. 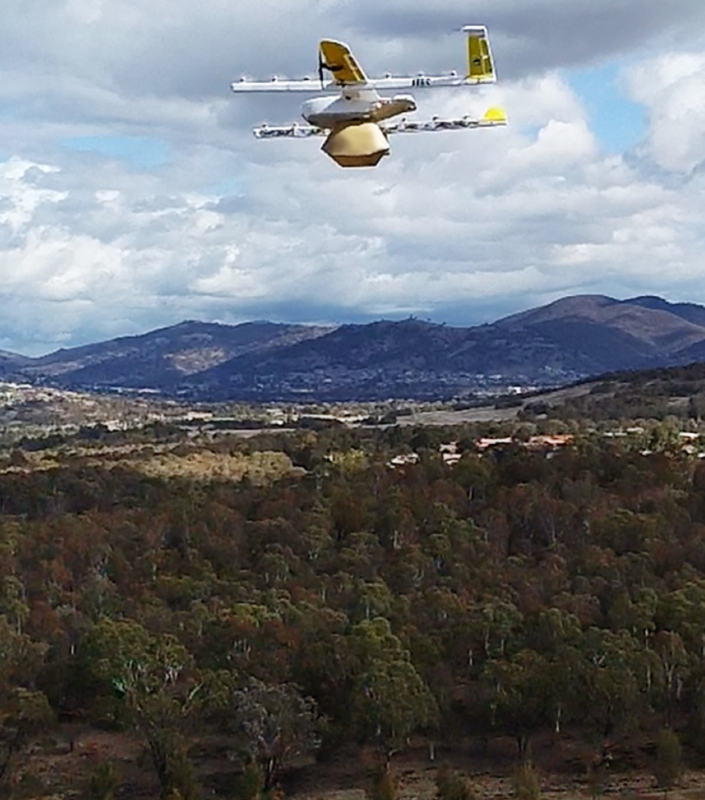 Air safety regulator CASA has been looking at a number of safety exemptions Google needs to run the project formally, such as allowing drones to fly closer to people than usual. CASA spokesperson Peter Gibson says approval has now been given. “We've gone through all the thorough safety assessment… we'll issue the appropriate permissions for those to go ahead,” Mr Gibson told the ABC. “Everyone can rest assured from a safety perspective it will operate very, very well,” he said. A year-long trial in Bonython saw more than a thousand successful deliveries without a safety incident, though noise issues angered many locals. While drones operated below legal noise limits, Project Wing says it will use a new, quieter, model for its latest operation. The new Mitchell operation will initially deliver goods from about a dozen local businesses to only 100 eligible homes in the suburbs of Crace, Palmerston and Franklin.